It’s kind of a shame Halloween fell on a weekend this year. In fact, as Time Out humorously brought to our attention, it was the “perfect storm” of partying (except if you’re a Mets fan), what with Halloween on a Saturday and an extra hour tacked onto the end of it. The most important part of the celebration falls on a Monday, and people seem to have forgotten to remember. 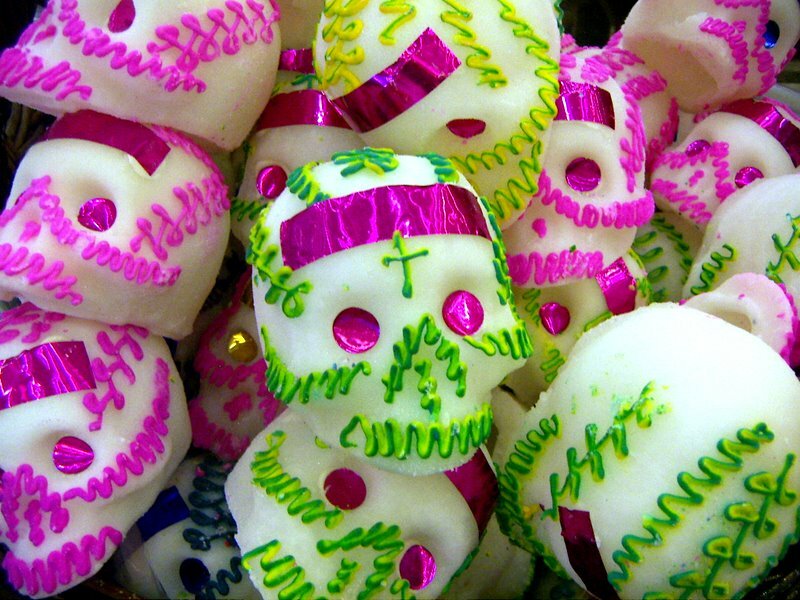 Granted, I’m not in Mexico, where Día de los Muertos (Day of the Dead) would never take a back seat to other events. It’s one of the most important holidays, celebrating those who are personally held dear. It’s a bit of a misnomer, considering it’s not really a single day, but a period that starts on Halloween and continues into November 2nd, honoring the memory of family, friends and other cherished souls with altars (ofrendas) ornately decorated with personalized mementos and flowers, traditionally marigolds (their bright hue thought to attract the souls to the altar like a beacon), decorated skull figures (“sugar skull” or calavera) and skeletons in every day dress and poses. This is not a time for mourning, rather, it’s a moment reserved for checking in with the souls of those who are gone and remembering why we miss them. In this busy world, this is a tradition that should exist in every culture, but for some reason it doesn’t. That’s why it’s become important to me to honor it every year wherever I am. Of course, one of the best parts of the Day of the Dead festival is to salute those who’ve passed with agave spirits worthy of their significance. Today, even if you’re outside of Mexico, luckily, there's a vast array of excellent tequila, mezcal and now even raicilla (a more earthy cousin to mezcal newly available in some markets, particularly the brand Venenosa) and bacanora (an agave spirit from the Sonora region) is available. Sip these neat and offer a little to the earth for those you are remembering, including even those who wouldn’t have necessarily partaken of liquor in their lifetime. Yes, you can even sip to your late cat. See? Why don’t we do this more often? Naturally, Día de los Muertos is also a perfect holiday for agave cocktails, something more festive than a simple margarita (though nothing wrong with those either.) A couple of years ago I came up with my own. This year, I enlisted the help of bartender/drinks consultant Jacques Bezuidenhout. Since the purpose of this festival is to summon the spirits of the departed, what more fitting drink could there be than a version of the Corpse Reviver? This category of drinks (yes, they are a real thing) have been around since the late 19th century, though not originally intended to be taken literally. Rather, they were conceived as hair of the dog remedies meant to be consumed the day after a night of over consumption. The most popular version of it is the No. 2, which, if you think about it, actually resembles a margarita in that it’s citrus-based with orange liqueur except with gin (recipe here). The No. 1 is an entirely different drink, more spirit-forward (pardon the pun), and less springy/summery, traditionally made with Cognac and ideal for cooler seasons. Stir and strain into a chilled cocktail glass. Stir all ingredients with ice until well chilled. Strain into chilled cocktail glass and garnish.